A popular brand of barware products that represent excellent value for money. Create fun-shaped ice cubes with this flexible, rubber, easy-release ice cube tray. 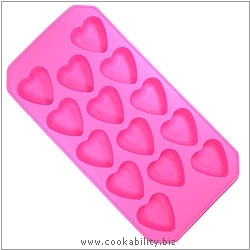 Makes 14 heart shaped ice cubes. Colour may vary.